One of our favorite spring destinations is Spain. This time of year life moves outdoors, where folks can relax in cafes and soak up the culture. The weather is perfect for long walks among the wild flowers, or dancing flamenco at the horse fairs of Andalusia. Nearby, the Italian springtime begins early when the fresh produce arrives from the countryside. It’s the season of festivals, fairs and papal processions. In fact, nowhere else is Easter experienced on such a grand scale, or more parties held for every patron saint imaginable. Our final spring travel destination is Croatia, where blooming flowers blanket the landscape. 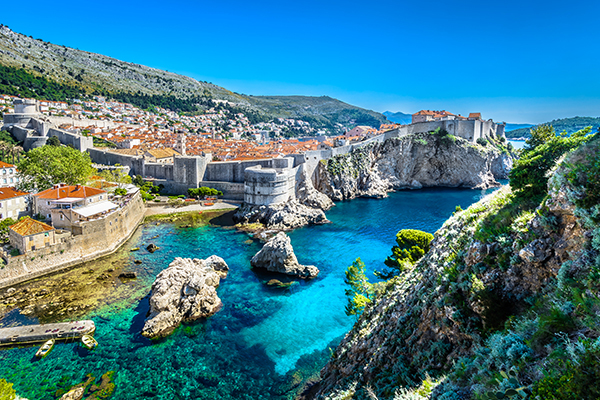 As you walk along the stone walls of Dubrovnik, you can watch the sea sparkle with light, and enjoy the crisp morning air of this historic nation before the tourists arrive in summer. Visit the Emerald Isle during the summer months when Ireland’s high temperatures hover in the mid-60s. You’ll enjoy long stretches of daylight when darkness doesn’t fall until after 11 pm, making it the ideal time to explore the country’s many music festivals, street fairs, and natural wonders. A trip to Scotland is another summertime favorite, thanks to the country’s lush landscape and traditional Highland games. Finally, if you’re looking for something a bit closer to home, why not visit the Grand Canyon during its centennial celebration year? This UNESCO World Heritage Site is a true wonder for hiking, camping, or simply peering over the dramatic rim. If fall travel is what you’re after, consider Cuba, a New England foliage tour, or Normandy, France. Late autumn is when the intense Caribbean heat subsides, and the hurricanes have passed the shores of Cuba. Look to enjoy dance performances, fishing tournaments, and lazy days strolling the Malecon. Or head to New England for the changing of the leaves, U-pick it farms, and cups of steaming hot clam chowder to enjoy along the shore. Our third fall fantasy trip coincides with the 75th anniversary of D-Day. Normandy is always charming in autumn, with its regional cider, farmers markets and festivals. However, this year you can also honor the history and culture of the place where Allied forces invaded France at Omaha Beach. Our final season of travel takes us from white sand beaches to traditional Christmas markets. Grab your flip flops for the sandy shores of Hawaii. It’s the perfect time to drive the Hana Highway or test your skills on the world’s most spectacular links; visit Volcanoes National Park or sample street food. Another sweet spot for winter is Hong Kong. October through December ushers in comfortable temperatures and reasonable room rates, while still offering plenty of the hustle and bustle tourists flock to this cosmopolitan city to enjoy. Finally, you can end the year in Germany, where carolers and toy-makers welcome Advent at traditional Christmas markets. No matter the season, YMT Vacations has plenty of options to help you make the most of your travels. To begin your plans, call your travel professional or YMT Vacations at 1-888-756-9072.